The Tango Queen Bedroom Group by Legends Furniture at EFO Furniture Outlet in the Dunmore, Scranton, Wilkes-Barre, NEPA, Bloomsburg, Pennsylvania area. Product availability may vary. Contact us for the most current availability on this product. 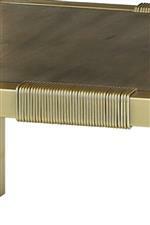 This contemporary collection is an ideal choice for residences that can use a modern touch in the modern world. 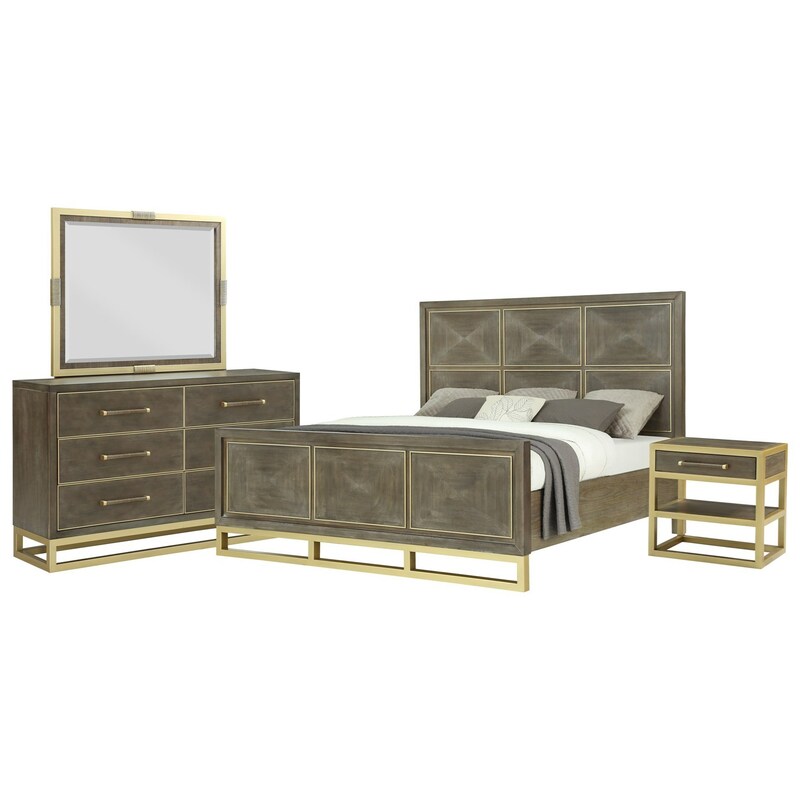 These sophisticated pieces feature wood with a sandblasted walnut finish, champagne brass metal accents, and straight lines with sharp curves. Whether they are situated in the bedroom, living room, dining room, or den, these pieces bring convenient functionality along with their modern style. Enrich your home and impress guests with this visually satisfying and equally practical contemporary collection. The Tango collection is a great option if you are looking for Contemporary furniture in the Dunmore, Scranton, Wilkes-Barre, NEPA, Bloomsburg, Pennsylvania area. Browse other items in the Tango collection from EFO Furniture Outlet in the Dunmore, Scranton, Wilkes-Barre, NEPA, Bloomsburg, Pennsylvania area.